It seems that one local school has not been successful in encouraging students to get on with the neighbourhood where many students now park their cars. 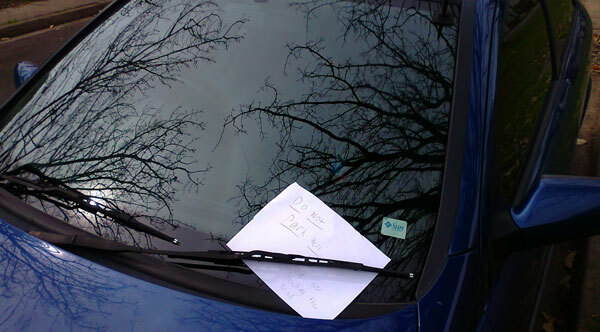 A couple of years ago the government had to introduce parking restrictions in one area as the students’ cars were parking on both sides of the street and the school buses could not get through. The parking of cars moved out to other streets and it was common to see cars parked close on driveways or right on top of the intersection. In the last weeks signs have appeared up and down more streets in an effort to hinder this form of parking during school hours. The school in question has been building new buildings now for several years – yet it seems that it will not be introducing any more on-site parking for the growing number of students who now drive to school. One wonders whether the school has a responsibility to provide on-site parking and not simply rely on the nearby suburb to put up with the parking that is slowly being moved further out into the suburb as street after street gets restrictions put in place. As with a former post on urban works – some of the latest street signage is comical. They must have run out of double arrowed ones – as in some places they have ended up using single arrow signs that then have created short areas where students can still cram their cars – and they do. Always great to see small ideas succeed. 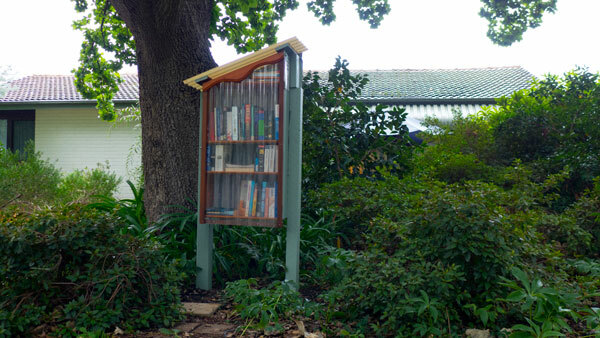 A couple of months ago a household built a very nice looking lending library box out front. The idea being you can borrow and leave books at your leisure day or night. It looks as though it works as the books keep changing. 40 KPH at the shopping centre – doesn’t work. 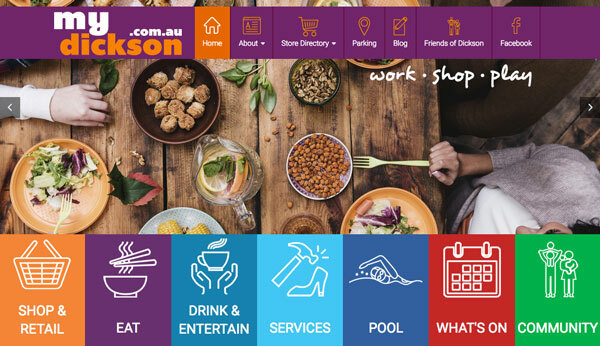 If you wander down to the Dickson shopping precinct, as with other shopping centres, the streets within the area have been deemed to be 40 KPH. This was done to try to make it safe in this shared zone where pedestrians are crossing the streets at numerous points – not just the designated crossings. It has not worked. Too many drivers still treat the area as they do any other – and speeds well above the limit are common. It remains an unsafe place for pedestrians. How do you change the culture of the car is king? Many of our bike paths remain very contested places. There are many stories to tell. The worst case I have witnessed recently was an older person (older than me!) who was about to cross from the right of the lane (above) to the pedestrian bridge. She had very sensibly paused and was about to look around, when a male rider zoomed up on her very closely. The fright was enormous and when I spoke to her she was still shaking (I was coming over the pedestrian bridge and saw the whole event unfold in front of me). 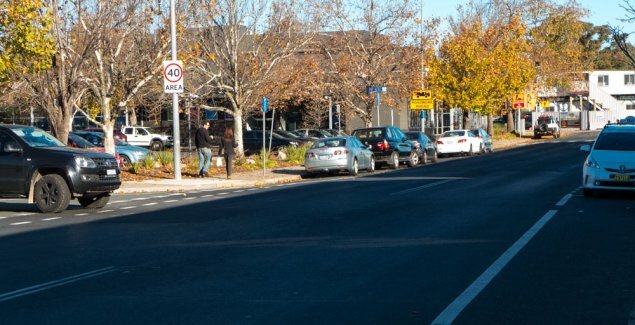 I am sure that cyclist probably drives a car in the same manner – ‘here I come and everyone else needs to move aside!’ Do we need to introduce those white markings to slow bike riders down at crucial pedestrian areas? Then there is the reported speed limit of 50 KPH for bicycles. I am still amazed that anyone allowed such a ruling to be put in place. As for bells – being a person who walks along this area almost daily and I’m constantly passed by cyclists – any bell ringing (or other forms of warning) would be a very rare event. 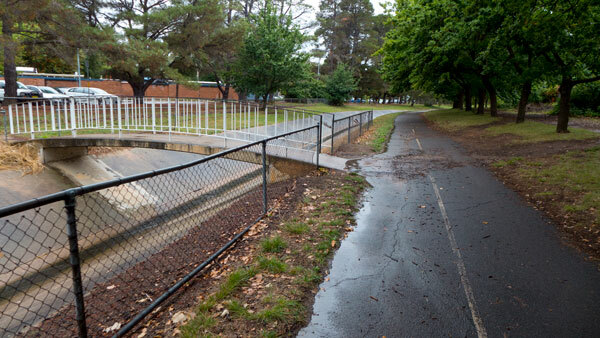 I bring this shared space/bicycle paths issue up again – as this needs to be kept alive on RiotACT – no matter how boring for some – as it highlights the dangerous nature of our shared paths that are nominally available for people wanting to walk and ride peacefully– rather than drive. It would be far too complicated to try to update readers on the marathon of the ACAT appeal over the proposed supermarket development. The formal hearings commenced in December for a nine-day session and then continued with more sessions till the middle of this month. There have been extraordinary goings-on. It was reported that this neighbourhood appeal may have been the longest of its kind. 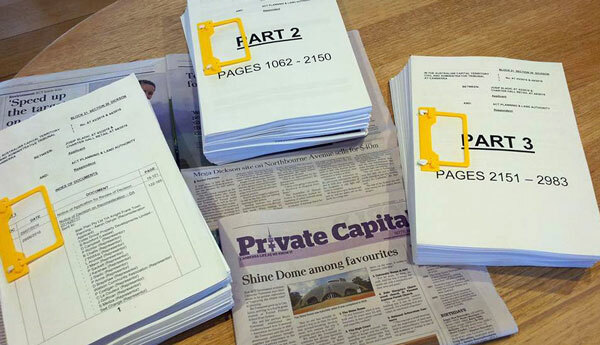 The final installment of this ACAT hearing commenced on Monday 20 March and ran for 4 days. So now we wait. I wish I could suggest a solution to this one. 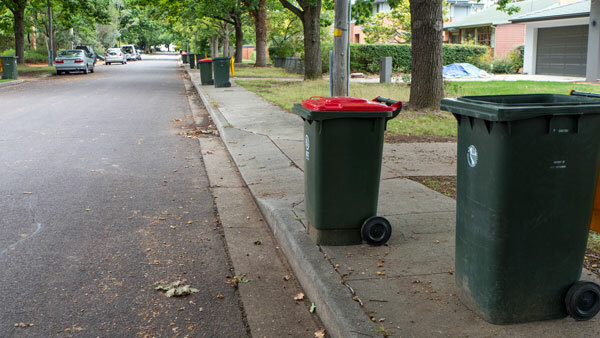 Each week our footpaths become the place for our green bins. All good and it works well – for most of us. This means that once a week these footpaths offer limited access for pedestrians – and almost none for anyone with particular disabilities. For most it means taking to the roadway to progress down the streets. In the image below, this can be particularly hazardous in the mornings and evenings as that street ends up with cars on both sides due to the overflow of parking from the nearby apartments. There must be a solution out there? Burley Griffin to take responsibility for the tram! 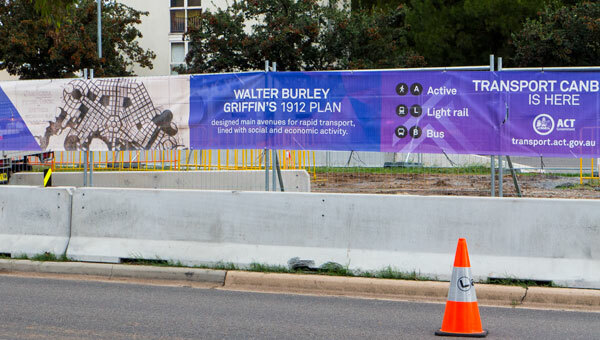 Walter and Marion Griffin were not welcomed by the bureaucracy in early Canberra. After several years of disputes, they gave up and left the bureaucrats to do it their way as they have done every since. The Griffins plans were ‘altered’ many times (more often just ignored). But this has not stopped the bureaucracy in the 21st Century cherrypicking elements of the Griffins original concepts to justify things today. This latest one is a bit rich! I say this as someone who supports the concept of trams for Canberra – but still recognise spin when it confronts you – in this case many times along Northbourne Ave.
Who are they trying to convince? Those who already agreed on the tram and voted accordingly? Or those who still do not believe – best of luck with that. the above post was also posted to RiotACT – this comment was received regarding the school parking and the new signs. 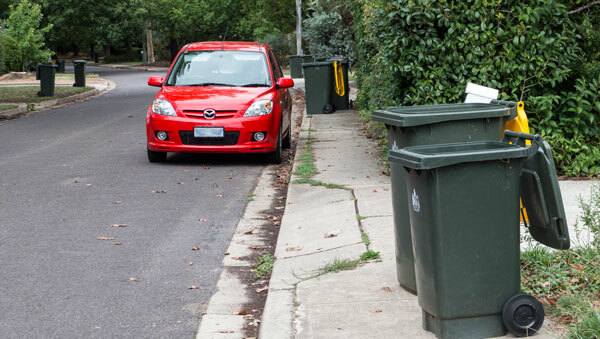 As a resident of the street in question, I can agree with the comment that the street signs are extremely comical though the author has said that they must have run out of double arrow signs and put up single arrow signs which allow students to still park in pockets of the street. 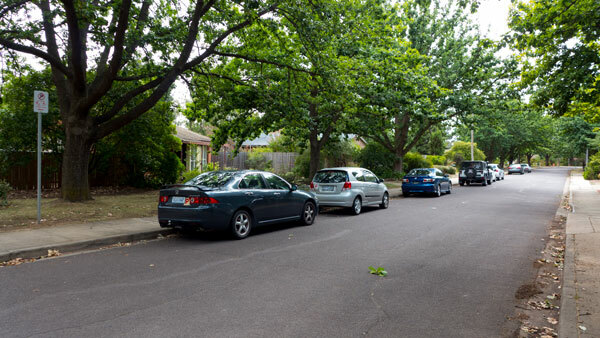 When in fact, after receiving complaints from a small number of residents we started receiving letters from Roads ACT in 2015 asking to vote on whether we wanted the street to be a no parking during school times zone. We were told over and over again over the 2-year process that the vote of the majority of residents would be heeded. 21 out 45 residents only voted for parking restrictions. Rather than sticking to their word of majority rules the intelligent staff of Roads ACT decided to erect no parking signs outside the 21 residences that wanted parking restrictions (2 of these residents have since backed out and have had the signs removed) and the majority remainder did not get signs. This meant that over 30 signs were erected in the small street and when one house might have no parking during school times the two houses next to it have no parking restrictions. Comical? Yep, it’s a joke. And has achieved no changes to the cars parking on the street but It has been an entertaining process to follow with such a ridiculous outcome. Would be less entertaining if we were ever told the amount of tax payers money that went into this farce.